The latest “magirio-kafeneio” in Limassol is Yiagkini, situated in the old city and owned by two brothers. When I was recommended the place I was told it is like having lunch at your friends house. 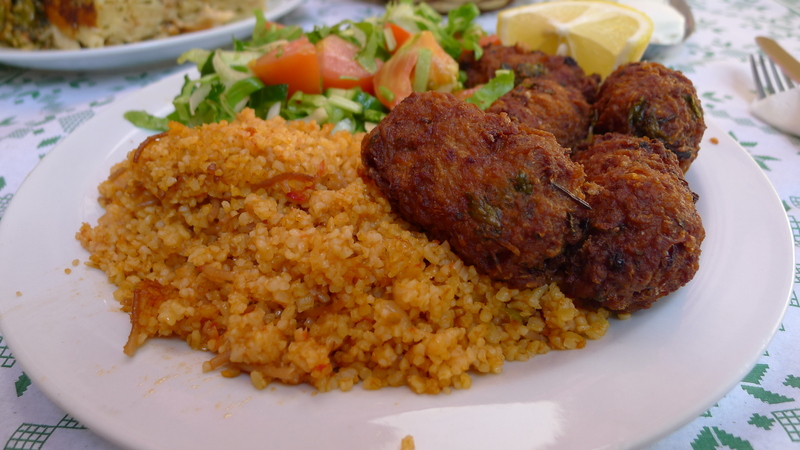 The term “homemade” food has a literal sense since Ms Ioulia prepares grandma’s food daily . Usually they have a fish dish, a vegetarian one and a couple of meat dishes. They also have a different cook at night for grilled meat/fish transforming the place into a taverna.For lunch it is very popular across people that work in the area, as well as students or family and friends of the owners. Homemade food at 7-9EUR is definitely what we need! 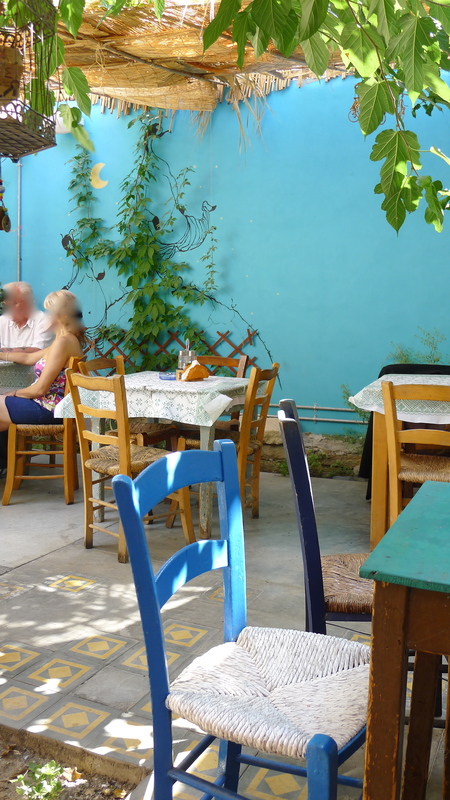 I absolutely love the antique-y décor, the tiny colorful courtyard, the friendly atmosphere and, of course, the homemade food at very fair prices.